WE NOW HAVE A 2ND LOCATION IN MONTROSE!!! 1425 Hawk Parkway, Unit 4, Montrose (next to The Stone House Restaurant). To find an agent’s location, please visit the About Us page. Norris-Snell Real Estate, LLC, defines success in two words: client satisfaction. To the extent that our customers succeed, we succeed. With this foundation, our growing firm counts itself privileged to offer uniquely qualified service to the counties of Montrose, Delta, and Ouray in Western Colorado. Our founder, a Montrose native with a four-year business degree, established Norris-Snell upon a vision of combining local expertise with 21st Century technology and market practices. The result? An award-winning, full-service agency with heart, dedicated to professionalism and integrity while remaining adaptable in a changing industry. Whether crafting a customized marketing plan to sell your property or helping you navigate the Western Slope in order to purchase, Norris-Snell would be honored to serve you in any capacity for the accomplishing of your every real estate goal. 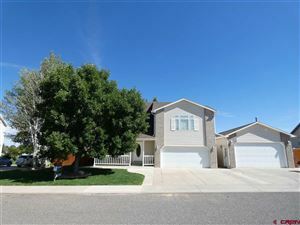 New listing in Spruce Point at Cobble Creek! New to town? Where do you start when you have to relocate?